As you know, depression among women during and after pregnancy continues to be one of the major concerns among healthcare providers. Indeed, researchers believe that depression is one of the most common complications during and after pregnancy impacting both the mother and her child. Many new mothers suffer from perinatal depression and require treatment and counseling. However, many of these women do not realize they need help or are unable to find appropriate resources. The attached notice to providers details some of the resources available to you. 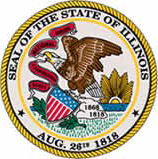 All of these resources can be found at www.Illinois.gov or by calling the Department of Human Services hotline at 1-800-843-6154. In addition, please forward this information to any of your colleagues who should know about this program and help us spread the word about this important legislation, which takes effect January 1, 2008. Together, through this Perinatal Depression Initiative, we can work to provide increased support to women, their children, and their families during what should be the happiest moments of their lives.